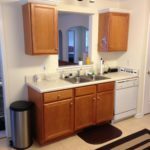 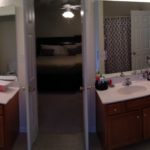 This homeowner just moved in, and the first order of business was to make a few upgrades to the home. 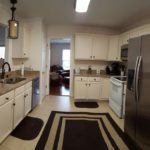 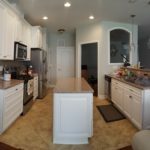 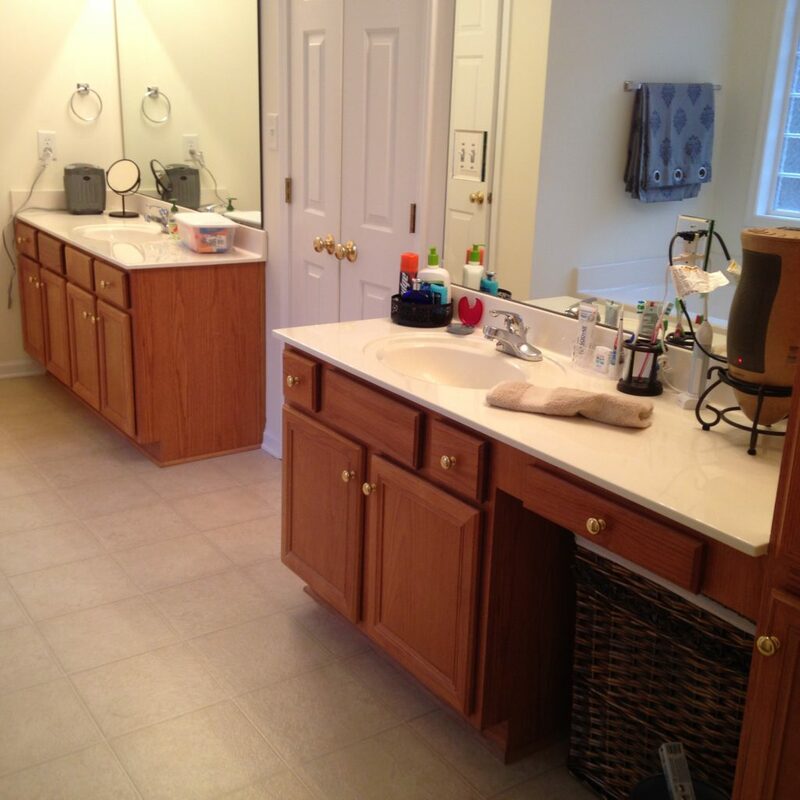 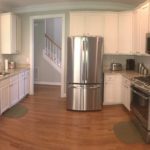 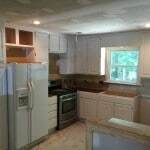 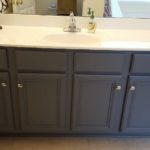 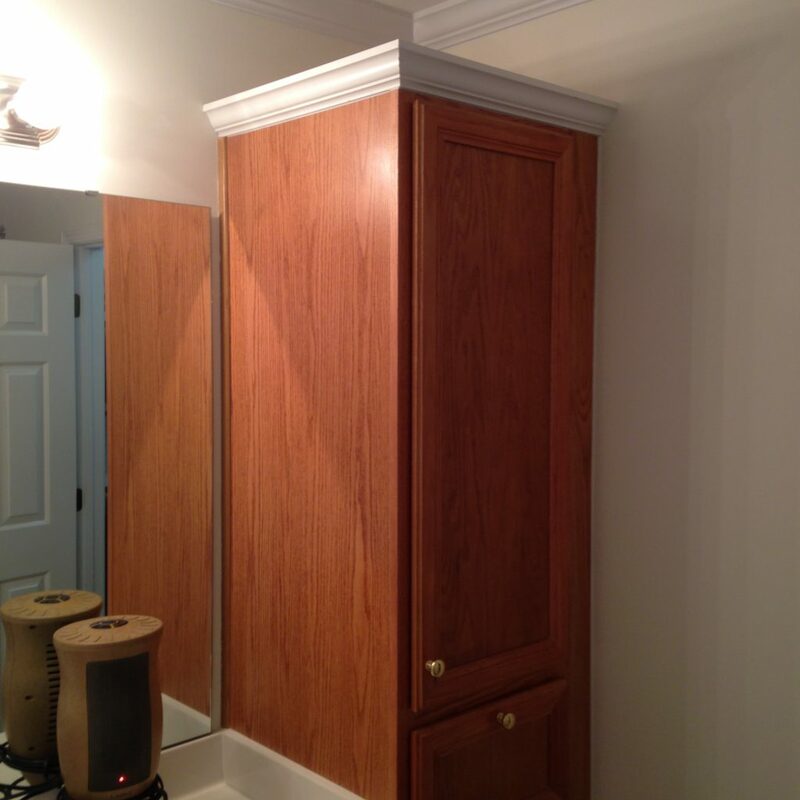 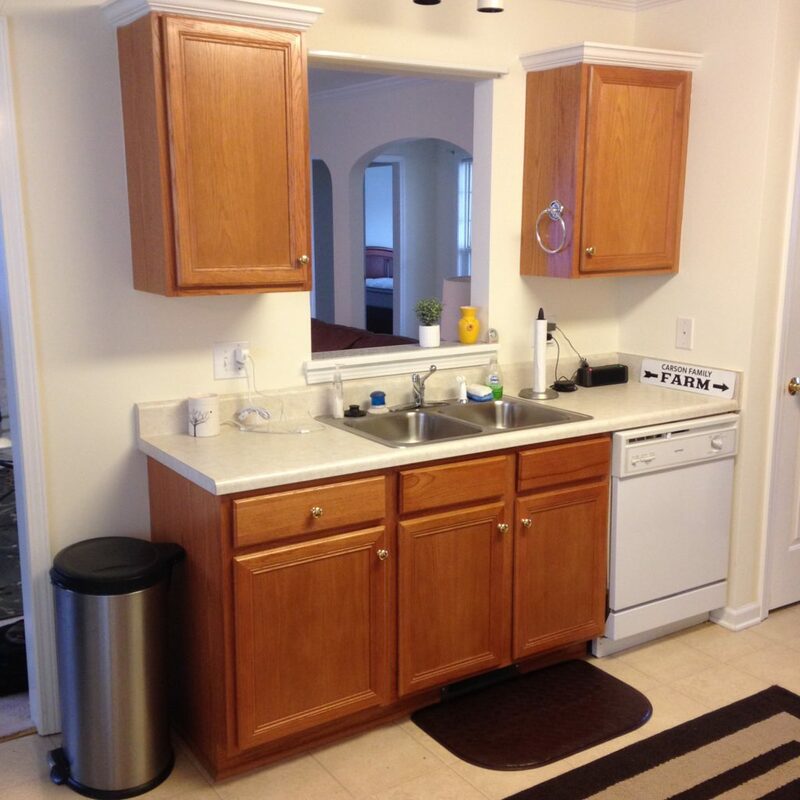 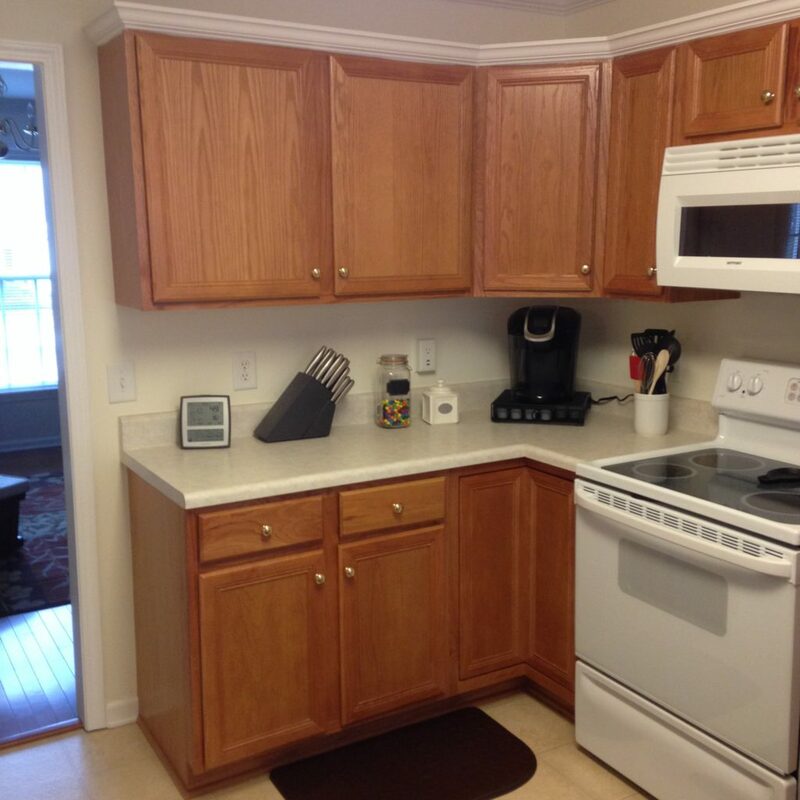 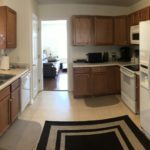 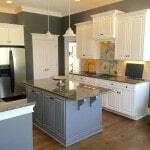 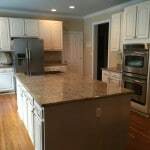 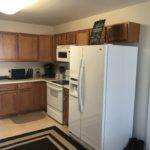 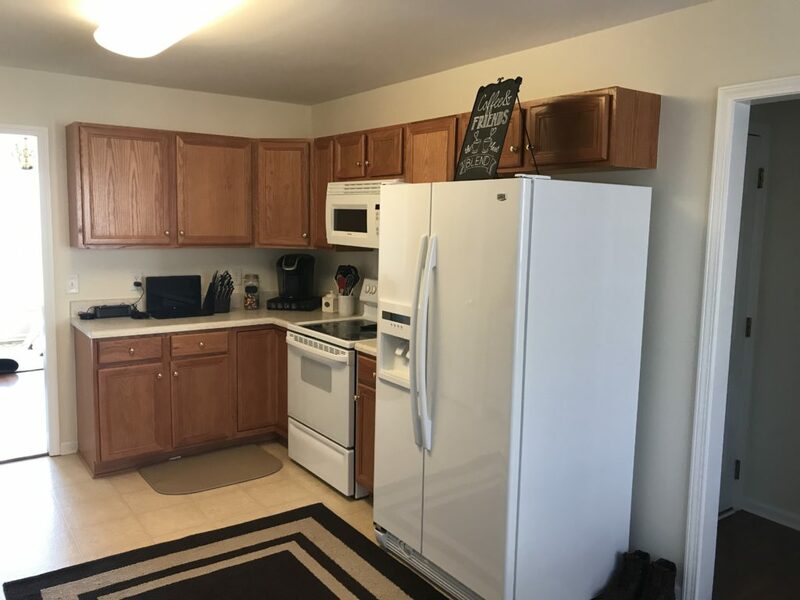 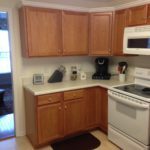 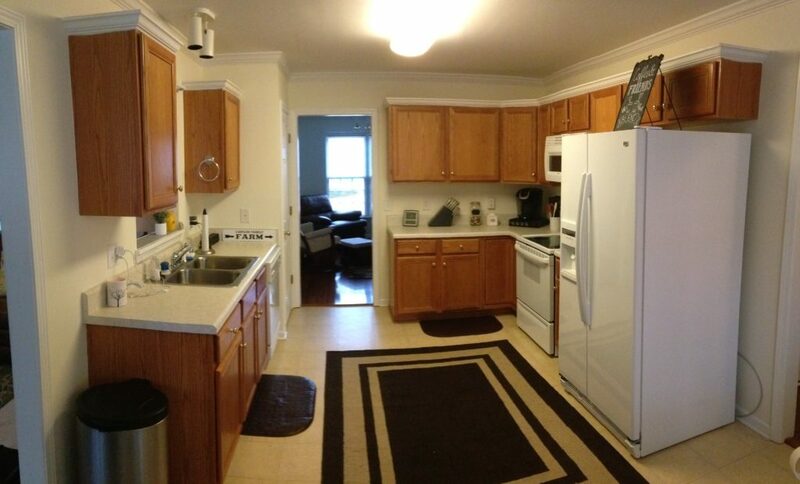 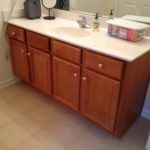 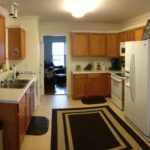 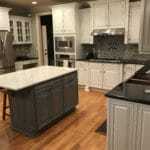 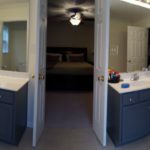 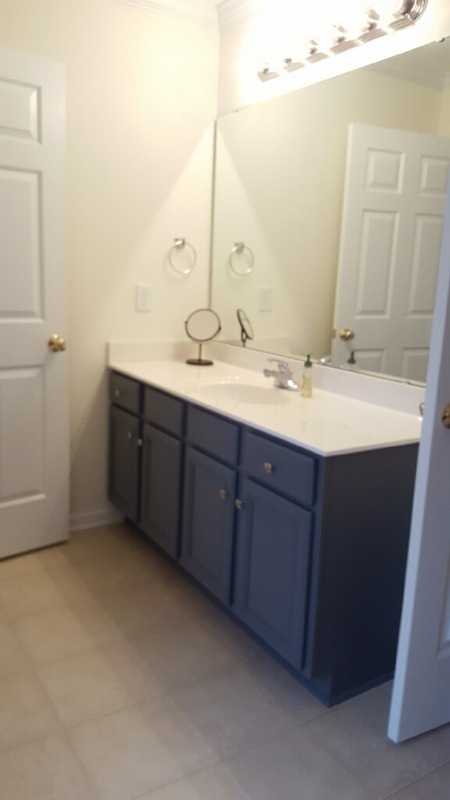 Our task was to paint the oak, kitchen and master bathroom cabinets. 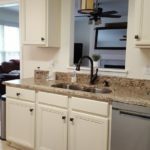 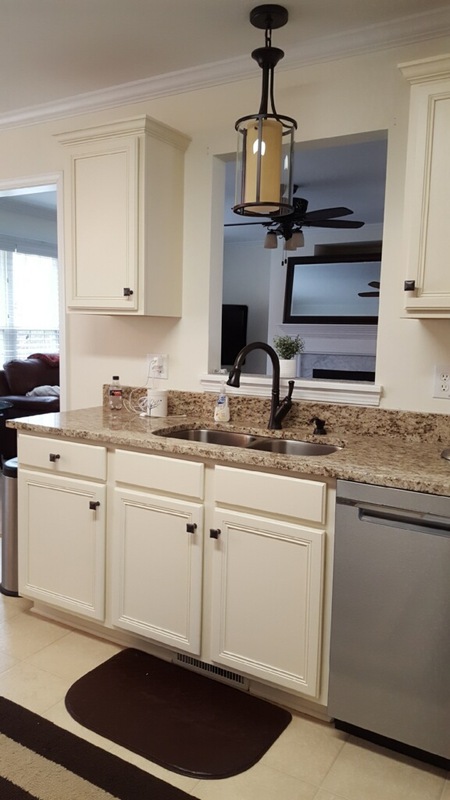 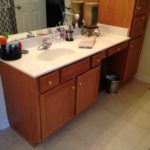 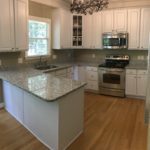 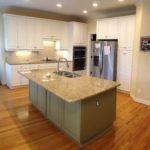 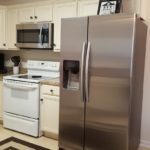 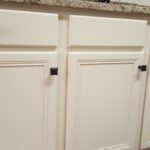 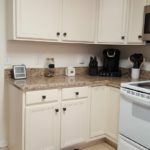 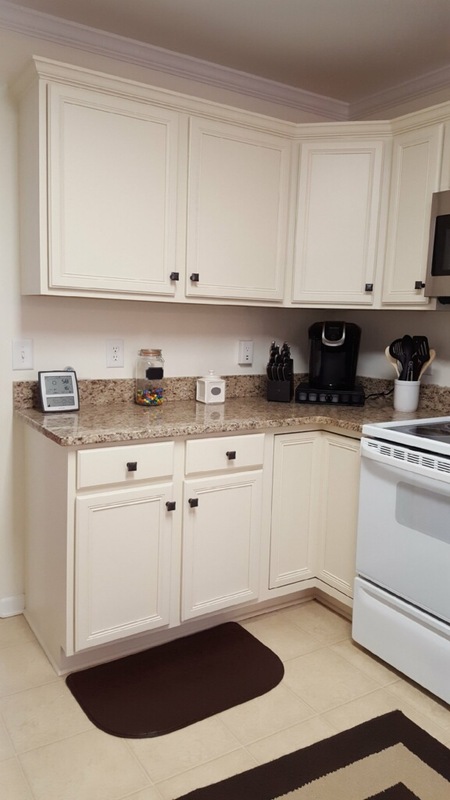 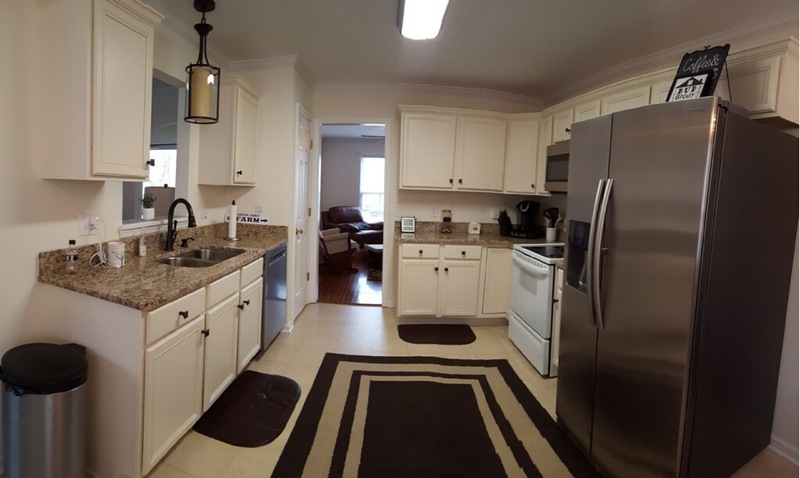 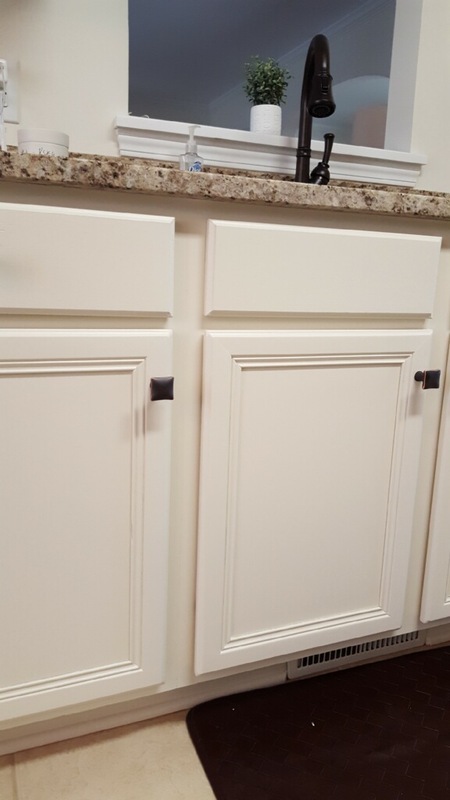 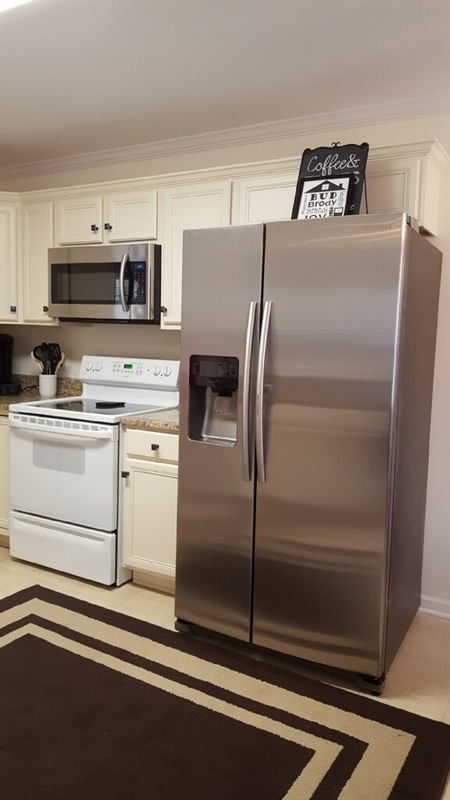 The warm tones of the Navajo White paint helped tie in with the granite as well as the creamy floor color. 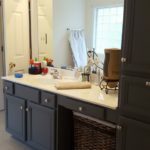 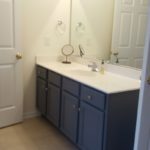 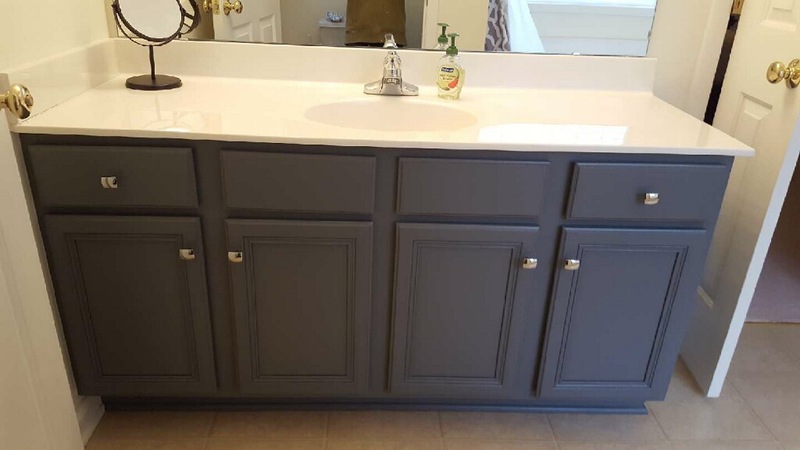 In the bathroom, our homeowner wanted a rich dark gray. 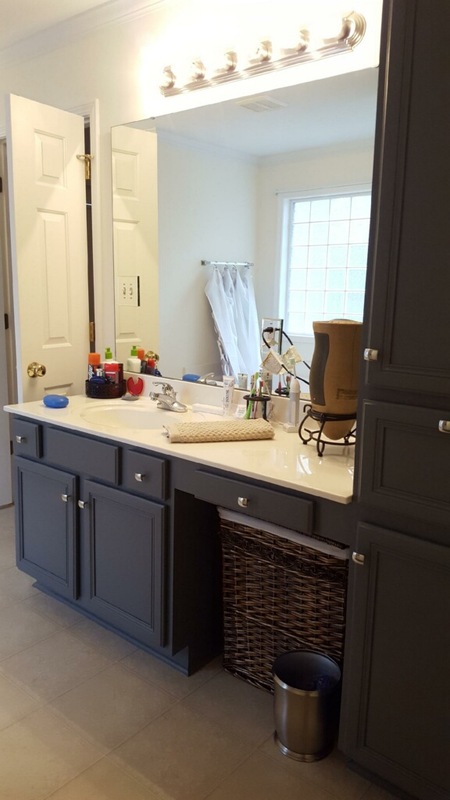 Steel Wool was the perfect choice and the color really sets the tone for the entire space.